Search and Rescue officers and military soldiers have evacuated bodies from a plane that crashed in Papua in mountainous eastern Indonesia. The crash killed eight people and left a sole survivor. The Swiss-made Pilatus aircraft lost contact with air traffic control Saturday, August 11, during what was supposed to be a flight of around 40 minutes in remote Papua province. 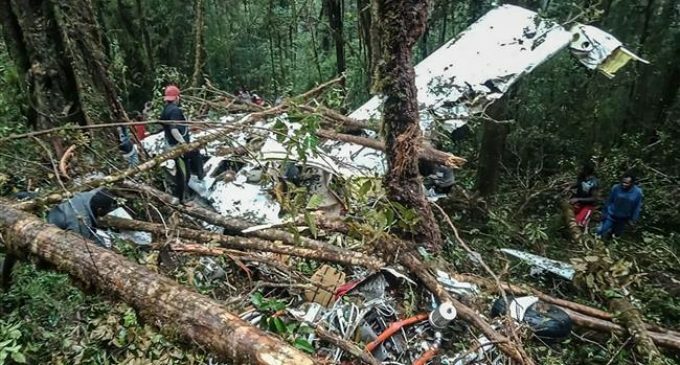 The wreckage of the plane was found in a heavily forested area on a mountain side in the Oksibil subdistrict on Sunday morning.